I need an alarm clock but I don't need to use electricity. Here is the water-powered alarm clock we got yesterday. According to the Consumer Electronics Association, in 1975 the average household had fewer than two electronic products. In 2007, the average household had 25 consumer electronic products (computers, DVD players, video game consoles, cordless phones, digital cameras, high-def televisions). Is it something I really value? If so, is there another way to accomplish the same task that uses less or no energy? Can I power this from a renewable energy source? In the past week, we’ve replaced 2 items that use electricity. 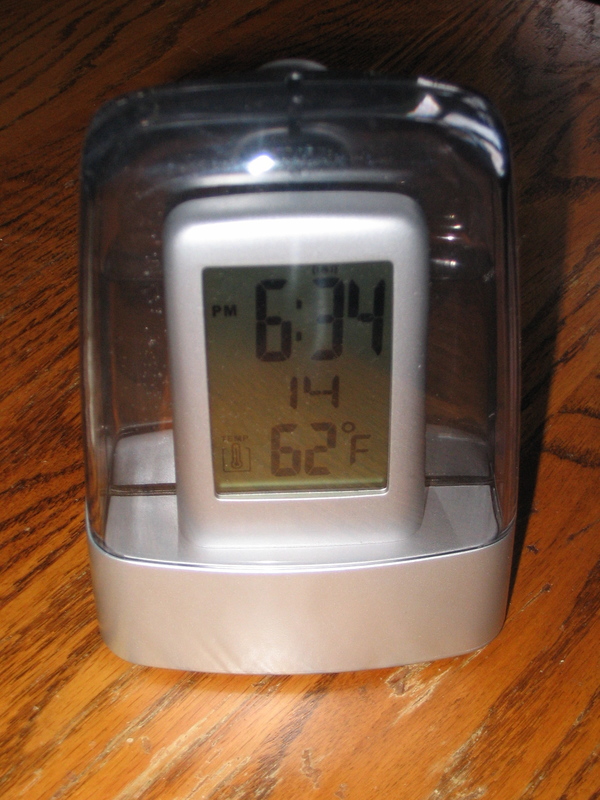 The water-powered digital alarm clock pictured above tells you time, date, temp and has a decent, though not overly loud, alarm. You need to change the water once every two weeks to keep it running. It is not backlit – which can be both a blessing and a curse. We’ll see. 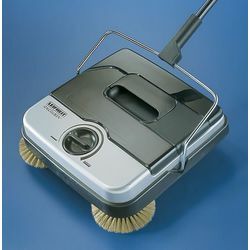 We also bought a carpet sweeper (again, from Lehmans) to reduce the use of the electric vacuum cleaner. This thing sure does a good job picking up cat hair. And I might develop some arm muscles using it… which wouldn’t be bad. Have you ever checked out the chargers from Choose Renewable? Instead of having to unplug them so that they don’t use power they just automatically shut off. Not sure how it works but they seem to do a good job. They are calledEcoChargers . I thought you might get a kick out that idea.